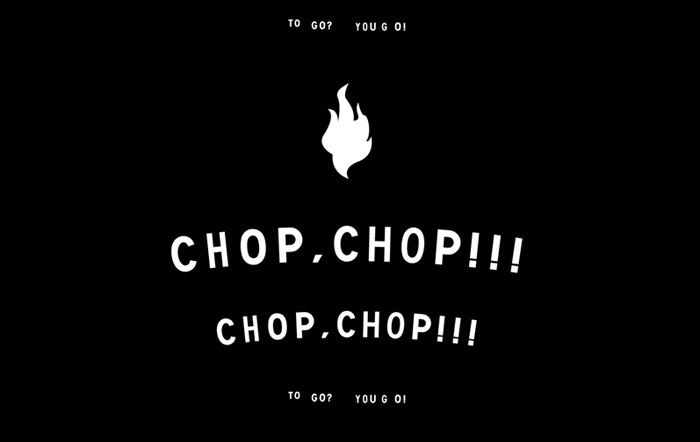 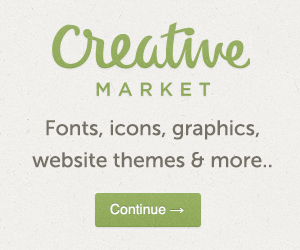 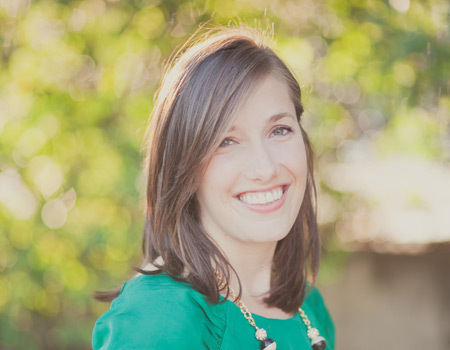 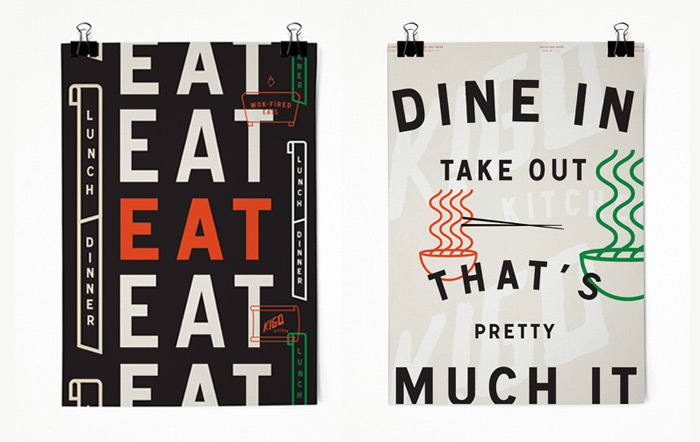 While browsing around Behance recently I stumbled upon the awesome portfolio of Clara Mulligan, who happens to be a Design Director at Creature. 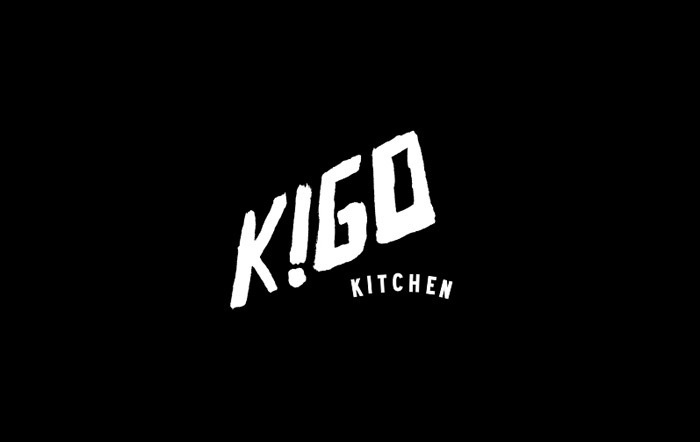 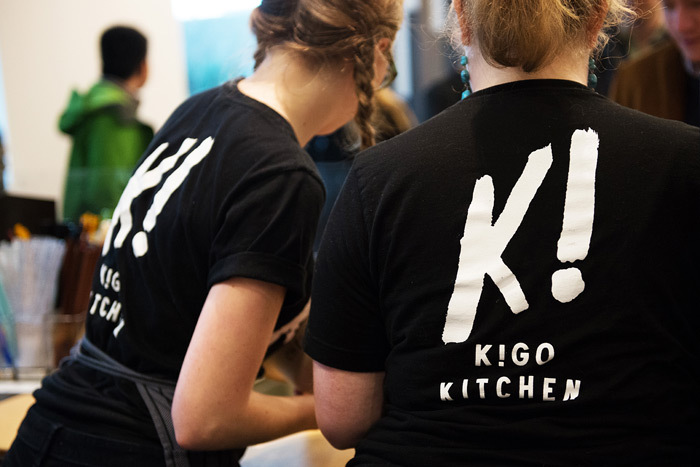 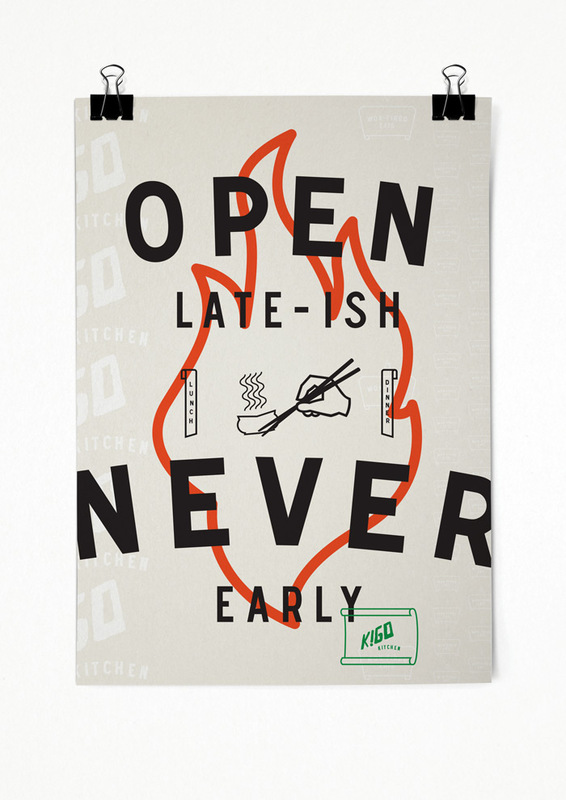 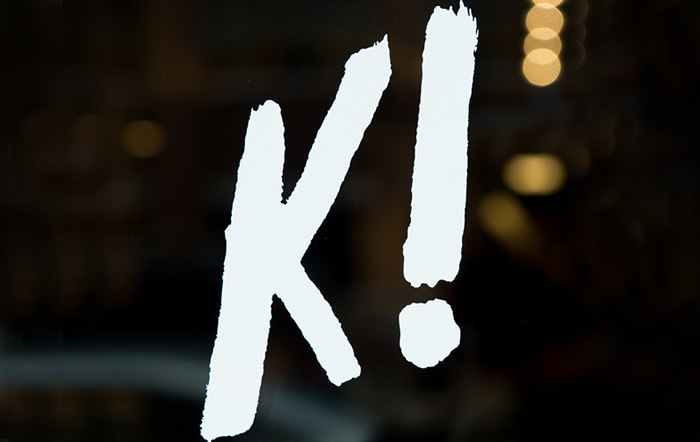 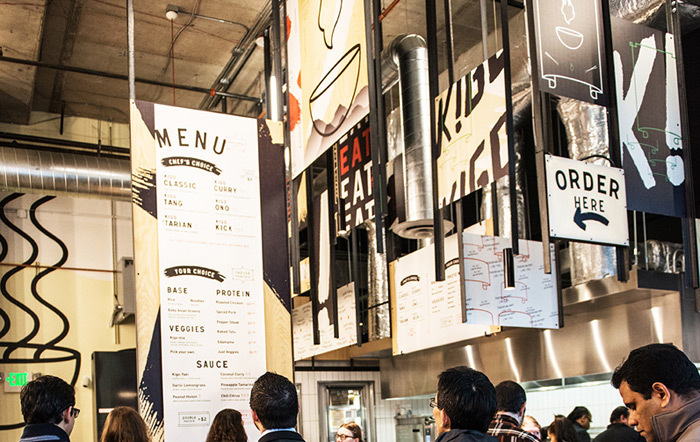 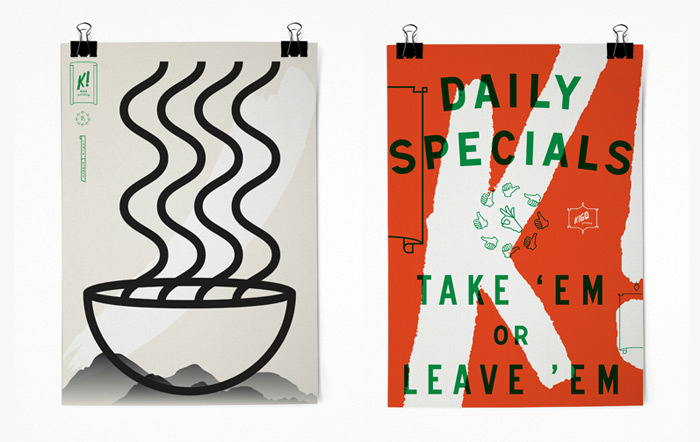 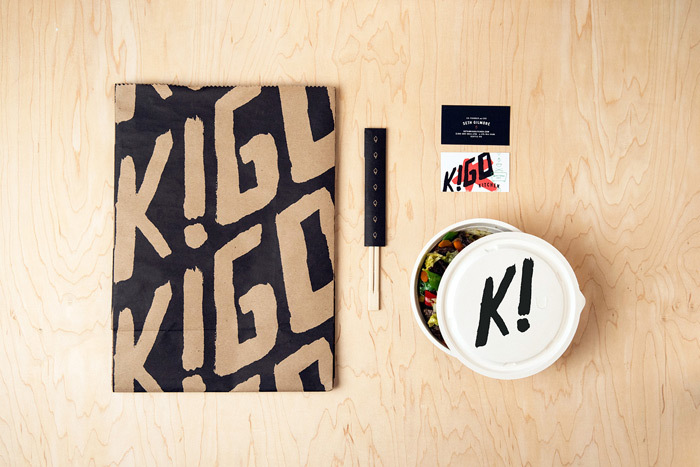 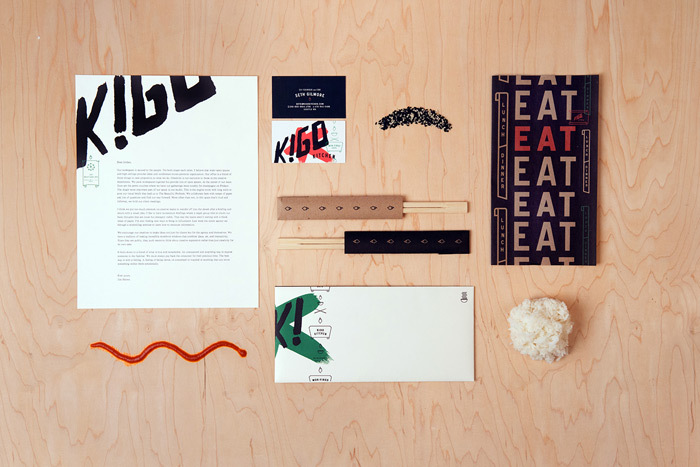 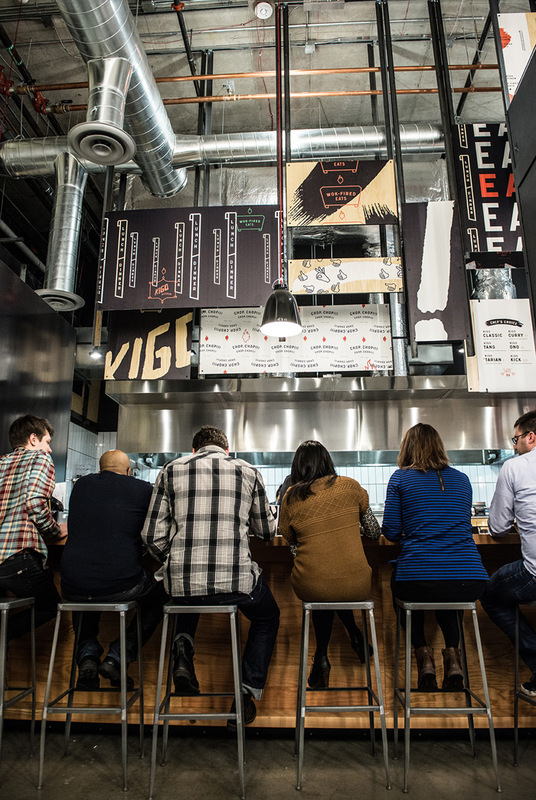 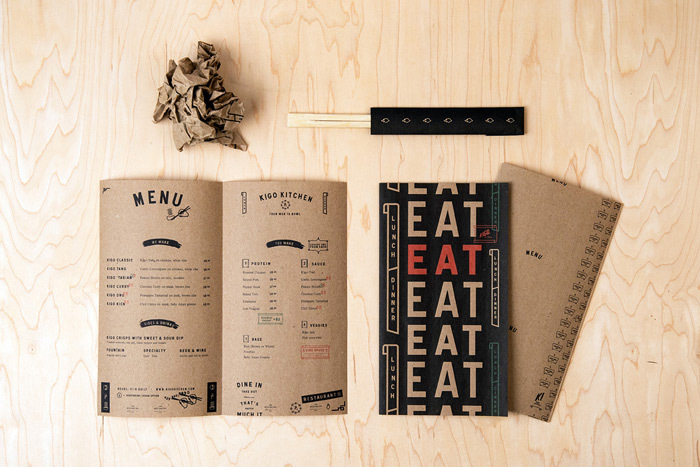 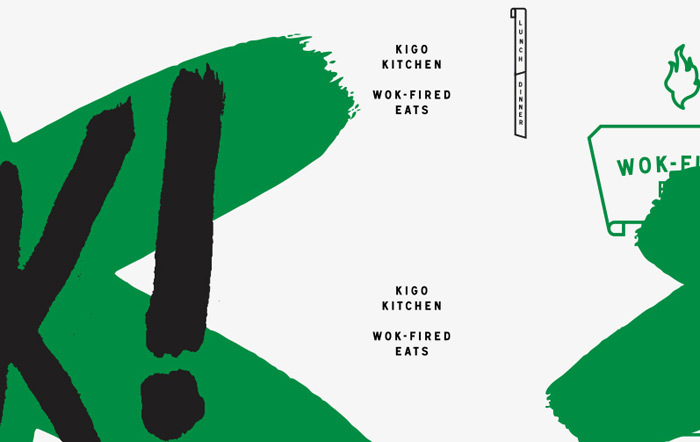 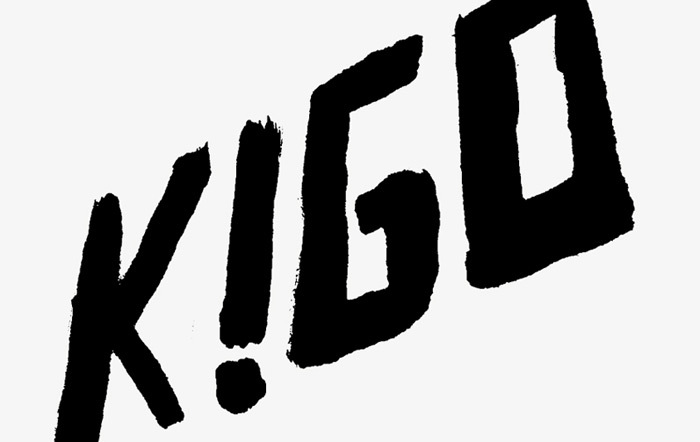 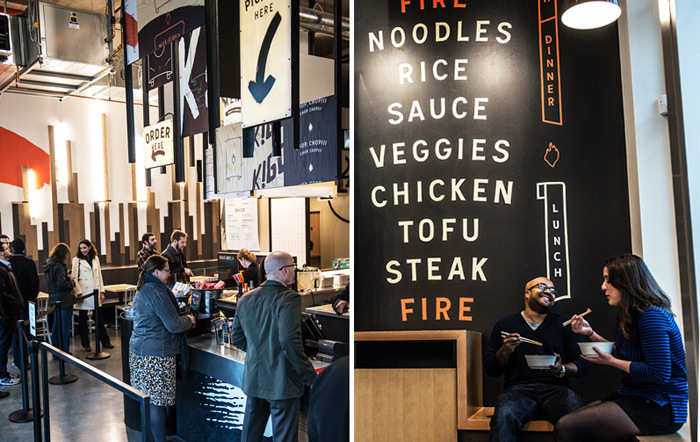 And as someone often drawn to restaurant branding, one of the projects that immediately stood out was their work for Kigo Kitchen, a “Pan-Asian, quick-fire lunch and dinner joint” with locations in Boston and Seattle. 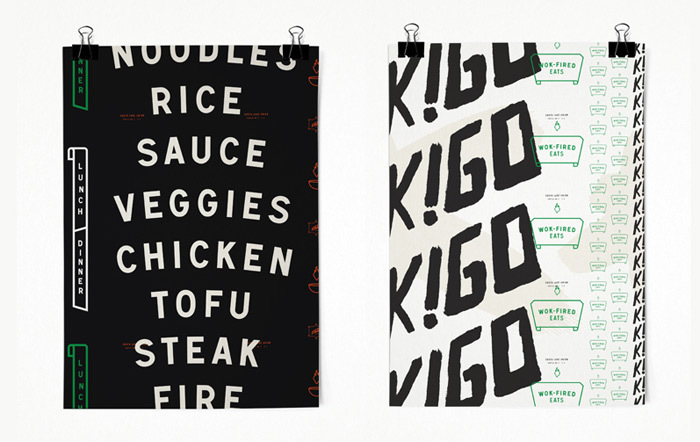 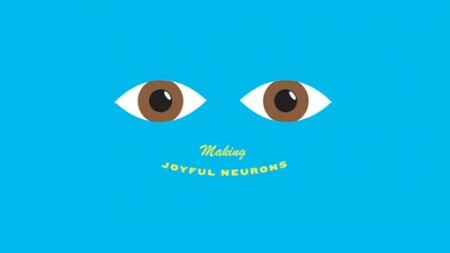 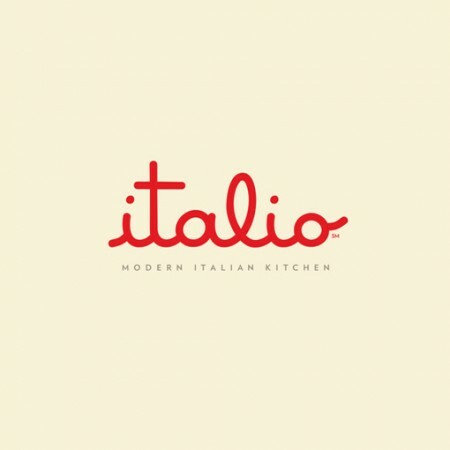 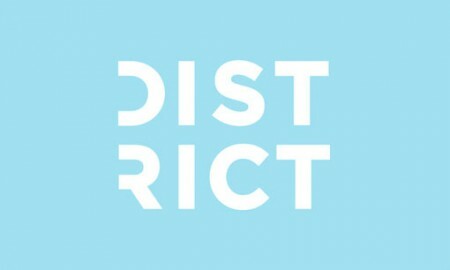 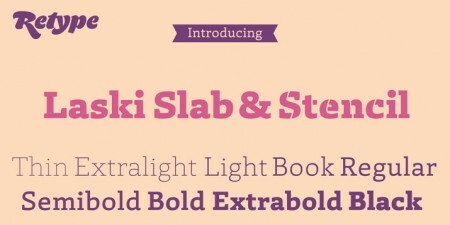 I love the way they’ve layered the various elements—large scale, in-your-face type, brushed graphics and simple, geometric illustrations—to give the brand an exciting and dynamic personality. 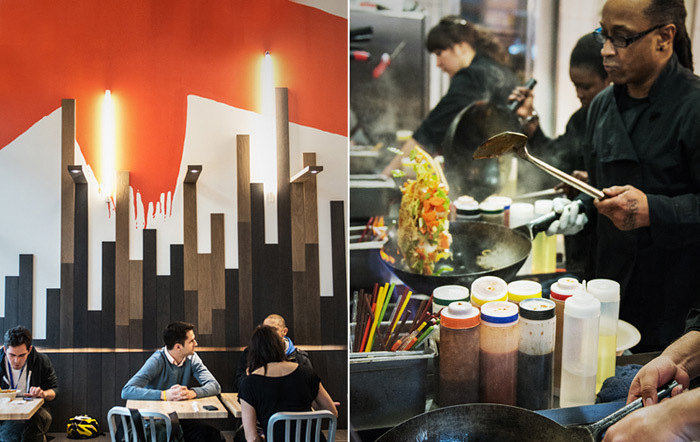 It definitely gives the impression that enjoying a meal at this restaurant will entail a fun, fast-paced and energetic experience.